Our group of Remote Year digital nomads was given the nickname "Cousteau", hence the red and blue Cousteau-themed cards. The deck and box was custom made with only 24 cards, designed specifically for Euchre—one of our favorite card games in the group. 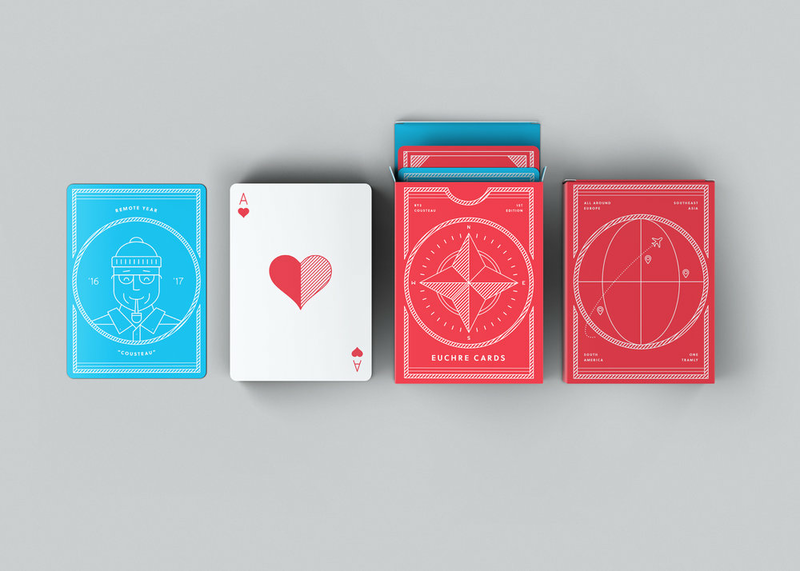 The King and Queen cards were designed with our two travel leaders on them, and given to them as a surprise gift.